Google app store is the official store for all Android Device. Generally, you will not get any trouble during downloading the device, it is working very good and processes the request very fast. 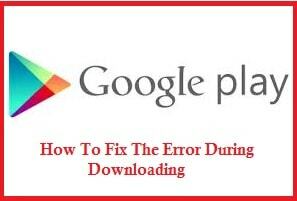 But error depresses if that continues during the downloading activity. The error will show ‘downloading pending’. In that case, you can not download apps from this store. Google is a big search engine worldwide and definitely, they update the store from time to time. Recently Google team updated the play store. Google play store was given the facility to the user to download the number of ads in a single time, but after updating you can download single apps. It may be possible this error is showing due to bulk downloading. This can be one of the reasons, Which face by you unconsciously. To resolve this issue, first, move on Google Play Store, then swipe your Smartphone screen on the right side. Now tap on ‘My Apps & Games’, then you will see those apps, which are in Que for an update. Press on ‘X’ (cross) button to cancel the update request. Now start the downloading that apps, which you want to get. You can opt for another option to resolve the error issue. Just choose the ‘Force Stop Option’. This option should be used if your Google Apps is not working perfectly. To use this option goes into the setting and click on apps. You will get the list of those apps, which are installed on your device. Now tap on ‘Google Play Store’ and press on ‘force stop’. Your apps will be closed and restart instantly. When your Smartphone receives large data and cash junk, that create an issue during working. You can resolve the issue by cleaning junk and unnecessary data. To clean the phone go on setting then apps option. You will get the list of all the installed apps. Then click on Google Play Store, and use the ‘Clear Cash’ or ‘Clear Data’ by tap. These are some tips to short-out the problem.